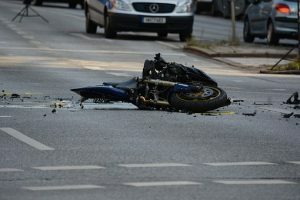 Norwood, MA (July 2, 2018) – A Monday afternoon motorcycle ride turned tragic for one person in Norwood, Massachusetts. At 1:18 pm, officers and emergency rescue workers were dispatched to the scene of a crash involving a motorcycle and a car on Route 1 North. The roadway was immediately shut down as officers investigated the crash. The motorcyclist was pinned underneath the car following the collision and had to extricated, according to the Norwood Fire Department. A medical flight helicopter was quickly called in due to the serious nature of the crash. The helicopter transported the injured motorcycle rider to a hospital in Boston for treatment. There is no word on the motorcyclist’s condition at this time or what may have caused the crash.